Happily Ever After: The Fairy-tale Formula for Lasting Love by Wendy Paris is on sale for 99 cents in Harper Collins 99 Cents Sale and more titles here on Amazon. (Really, I dropped a few dollars after sorting through the titles.) There are many great books in this sale, but only one had a fairy tale inspiration. This is a self-help title, a small gift book that I actually own in hardcover from back when it was published and somehow acquired it since it has the fairy tale themes. Not the usual fare or interest for readers here but still in theme and its always interesting to see where authors take fairy tales. 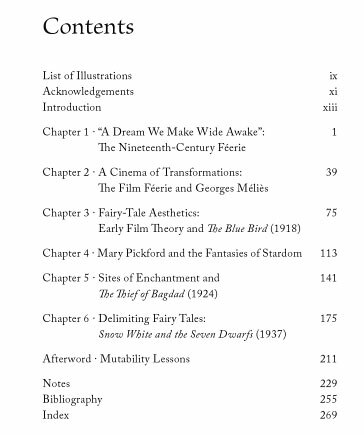 Film and Fairy Tales: The Birth of Modern Fantasy (International Library of the Moving Image) by Kristian Moen is officially released this week although it doesn't appear to be shipping from most online retailers quite yet. Far from a realm of pure fantasy helping people to escape harsh realities, fairy tales and the films that rooted themselves in their tropes and traditions played an integral role in formulating and expressing the anxieties of modernity as well as its potential for radical, magical transformation. In Film and Fairy Tales, Kristian Moen examines the role played by fairy tales in shaping cinema, its culture, and its discourse during its most formative years. Through analysis of early film theorists and detailed case studies of films of Méliès, Tourneur and Walt Disney, Moen shows how the visual tropes and theoretical vocabulary of the fairy tale negotiated different experiences of modernity - the giddy adventures of social mobility, consumer culture and identity transformation, the threats and anxieties of cultural change, impermanence and mutability. From the nineteenth century 'fairy play' to the self-aestheticising fantasies of Snow White and the Seven Dwarfs, Moen shows how cinema made fairy tales modern - and fairy tales helped make cinema what it is today. And since this always matters to me, I have an image of the Table of Contents. It looks like we have the usual fairy tale film suspects with Méliès and Disney. Today only, Amazon has the following deal: Gold Box Deal of the Day: 50% Off Select Fisher-Price Favorites . Toys have already sold out on the list, but I had to round out my house's Imaginext Castle collection with two items that are a hit with the nieces and nephews. They are currently $17.49 each. The other toys in the castle series are not on sale, but these were the ones at the top of my wishlist, so I had a lucky day, saving at least $20 off the prices I had considered earlier. And there are other non-fantasy toys on the list, too, if you are interested. 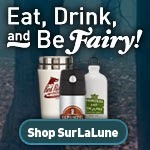 But dragons and ogres belong on SurLaLune! Imagine … a world of action and excitement where you decide what happens next! This time, it’s a world of Medieval adventure, with a fist-smashing ogre that kids control! Squash! He can step on an Imaginext® figure—and it “sticks” to his foot! Grab handle & walk him along for stomping sounds! Spring-loaded fingers let him hold a figure! Press on his tongue for chomping sounds as he “eats” a figure! Requires 3 AAA batteries. These are adding to the Fisher-Price Imaginext Eagle Talon Castle of which I have an earlier version, nearly identical. (I lucked out again on a clearance price at a seldom visited K-Mart one day when I ran in looking for something else.) These are some of the most popular toys at my house and I love that they are not connected to a TV show and other merchandising. And the girls in my life like it as well although there needs to be more girl figures with the toy series, my biggest complaint with it. But they just use the girls from the Little People Lil' Kingdom Castle that I also own. Before they made gender specific versions instead, darn them. But I have one enjoyed by all without any color programming. I know, you have a hard time imagining me with castle toys, right? As the girl who preferred boy oriented toys as a kid (and adult), I hate the color typing that made me feel "wrong" as a kid when I wanted to play and build instead of dress and makeup my toys. I didn't mind Barbies, but I only ever asked for one and then that was over. I spent more time with my blocks constructing homes for her than actually playing with her. Once Upon a Curse: Stories and Fairy Tales for Adult Readers by Peter Beagle (Author), Nancy Kress (Author), Cindy Lynn Speer (Author), Patricia Wrede (Author), Imogen Howson (Author), Lucy Snyder (Author), Siobhan Carroll (Author), Anna Kashina (Author) is temporarily discounted to 99 cents. The paperback, released this past December, is $16.95. And as the title states, this is not a children's or YA book, unlike the rest I've shared the last few days. Judging from the author list, this doesn't mean the book is erotica or the like, just grown-up themes. The reviews have said it was overall acceptable for YA readers. The Sisters Grimm: A Very Grimm Guide by Michael Buckley is $3.99 in ebook and is only for tablet type devices since it is graphics heavy. This was released a year ago and hasn't been discounted before. Since 2005, Michael Buckley's bestselling Sisters Grimm series has delighted fans with the story of the Grimm family, guardians of the world's fairy-tale characters. There's only one book left in the series, and this comprehensive guide provides the perfect refresher for fans looking to brush up before the dramatic final installment and is the perfect introduction for new readers. Featuring character profiles, maps of the town, found objects from life in Ferryport Landing, fairy-tale facts, and much more, this artfully designed guide supplements and enhances the beloved series. Even fan favorite Puck weighs in with his cheeky alternate take on all things Grimm. The Water Castle by Megan Frazer Blakemore is $2.99 on the list and doesn't pull from a specific tale but it has elements reminscent of The Water of Life from the Grimms. Ephraim Appledore-Smith is an ordinary boy, and up until his father's stroke he lived an ordinary life. But all that changes when his family moves to the Water Castle-their ancestral home in the small town of Crystal Springs. Mallory Green's family has always been the caretakers of the Water Castle-and the guardians of its secrets. She has been raised to protect the legendary Fountain of Youth, hidden on the estate grounds. But ever since her mom left, she's stopped believing in magic. Will Wylie's family has been at war with the Applegates for generations, all because of the Water Castle's powerful secrets. But Will has rejected legend and magic, putting all his faith in science.When Ephraim learns of the Fountain, he's sure finding it can cure his dad. With Mallory and Will's help, the trio embarks on a mission that brings them deep into their families' shared history, through every secret room in the Water Castle, and on a quest that will blur the lines of magic and science, creativity and discovery, leaving readers left to wonder: Do you believe in the unbelievable? Mermaid Cookbook by Barbara Beery is $1.99. This is not fiction but an actual cookbook. I'm considering it since we are also working on Leighton's cooking skills this summer. Dive into this new cookbook by bestselling children's book author Barbara Beery! Mermaid Cookbook offers themed recipes perfect for mermaid, ocean voyage, treasure island, and pirate parties for kids. The book brings magic and whimsy to the kitchen, teaching kids to create fun snacks and tasty treats while learning valuable cooking skills. Perfect for birthday parties, sleepovers, or afternoon playtime, Mermaid Cookbook offers an abundance of playful recipes including Paradise Pineapple Fruit Dip, Sea Foam Floats, Treasure Island Trail Mix, Goldfish Gorp, Mermaid Hair Salad, Sea Turtle Cookies, Little Luau Cakes, Water Fairy Ice Pops, Rainbow Fish Fudge, and more. Mermaid Cookbook is sure to make a big splash with your little ones!